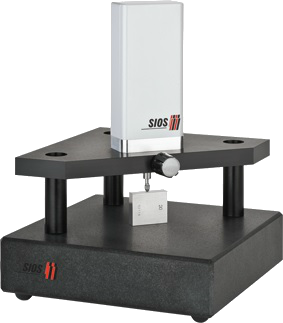 The SIOS GmbH LM-Series laser interferometric gauging probes are precision gauging probes; the first of their kind to allow contact length measurements over ranges of 20 mm to 50 mm with nanometer precision. The standard 8h6-mm diameter probe shaft and compact gauging probe head allow the gauge to be easily inserted into conventional length measurement systems. The integrated miniature interferometer converts displacements of the motor driven probe shaft into optical interference signals that are transmitted via a fibre optic cable to an optoelectronic signal processing /power supply unit for processing and output as length. 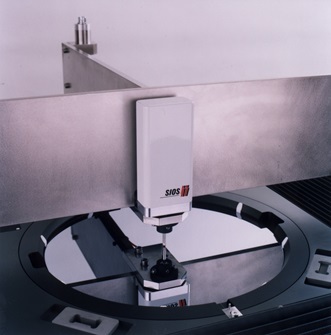 A SIOS frequency stabilised HeNe Laser, serves as the light source for the interferometer within the gauging probe, sensor within the head provide data for the correction of laser wavelength to allow for environmental influences to be considered. Instrument operation and display of measurement results are controlled via a PC running the software package supplied.